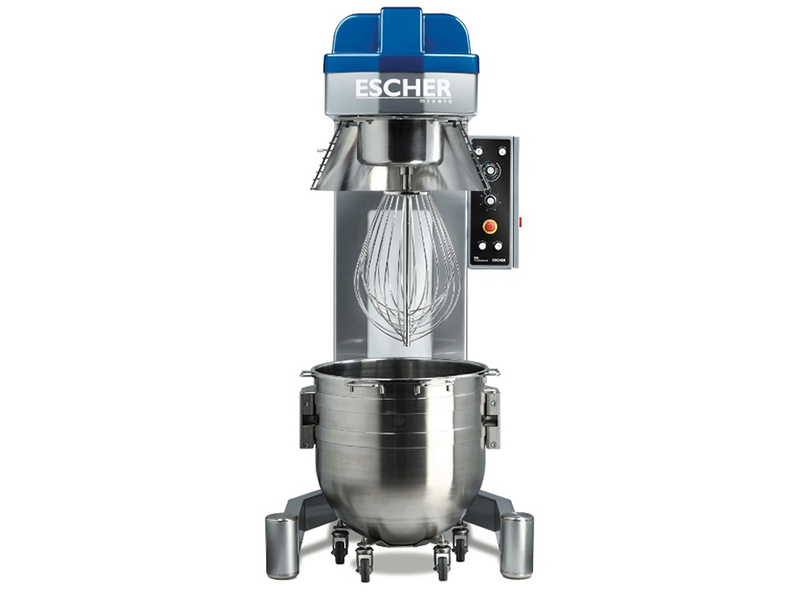 A line of planetary mixers with capacities from 60 to 160 liters, designed forprofessional use. It features automatic lifting and lowering of the bowl to the work position with total disengagement of the tools. This permits simple use and greater productivity. The machines have been designed without quality compromises, in order to ensure a constant performance level over the years and very low maintenance requirements. The shape resumes ESCHER's modern designand the machine dimensions guarante estability during use.The surfaces are easy to clean to guarantee a high level of hygiene. The possibility of adjusting the speed and the form of the tools favour an excellent result when working the product.